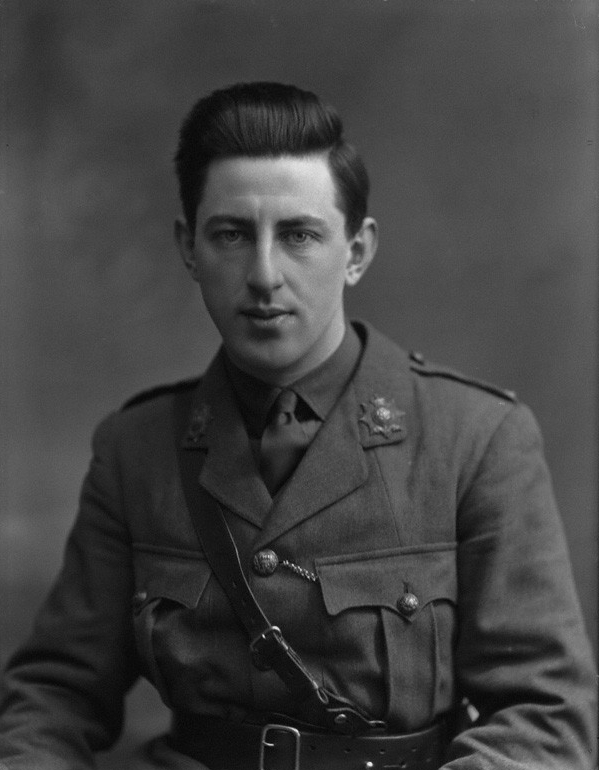 Nash progressed through the army, completing officer training in February 1917 before being stationed in the Ypres Sector. 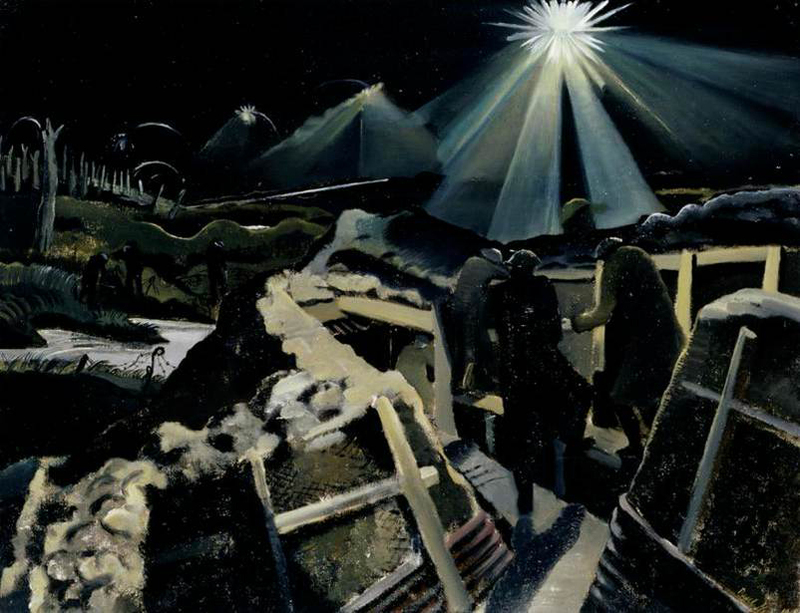 It was in the trenches of the Ypres Salient that Nash’s work as a war artist began. He started to record his life in the trenches through sketches. Later, while recovering from a non-service injury he worked some of these sketches into oil paintings and exhibited them to popular acclaim. Nash was unable, due to war time censorship, to depict the full horrors of war. Instead, Nash painted heavily symbolic, elegantly tortured landscapes that give a dramatic impression of a world torn apart by war. In his painting We Are Making a New World (1918) Nash depicts the Polygon Wood in Ypres Salient. The landscape is reduced to a few ragged stumps, all which remain of the woods that once stood there. Devoid of figures, it is a haunting image that leaves the viewer with a sense of how this new form of warfare affected the people on the frontline. It asks what would a weapon capable of ripping apart an entire landscape do to a human body? In many ways it is the lack of figures that give Nash’s painting their power. They ask questions without giving answers, leaving the audience to ponder the experiences of those who lived in such places and question the nature of war itself. In 1918 Nash exhibited a series of sketches and oil at the Leicester Galleries, bringing his ‘bitter truth’ to the public consciousness. Despite the frustration he felt while he worked under the control of the War Propaganda Bureau, this collection would form the foundation of his artistic reputation. Read about John Singer Sargent’s artistic contribution to remembrance here.